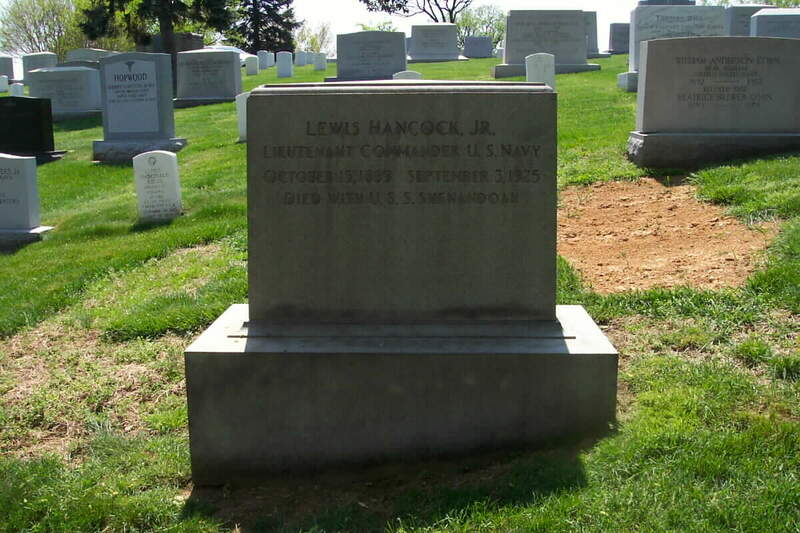 Lewis Hancock, Jr. was born 15 October 1889 at Austin Texas. He entered the Naval Academy in 1906 and, after graduation 3 June 1910 entered the submarine service. He was awarded the Navy Cross for his exploits and commanding officer of L-4 during World War I. 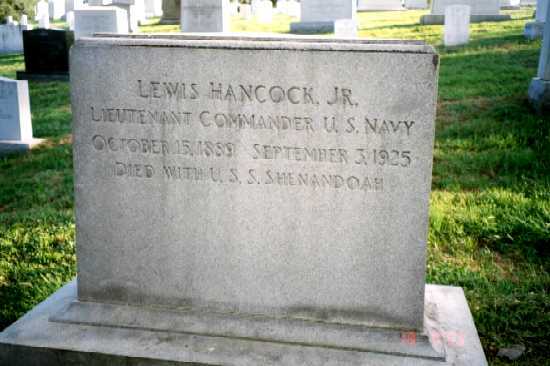 Lieutenant Commander Hancock died 3 September 1925 near Caldwell, Ohio, in the crash of Lighter-than-air ship Shenandoah 3. 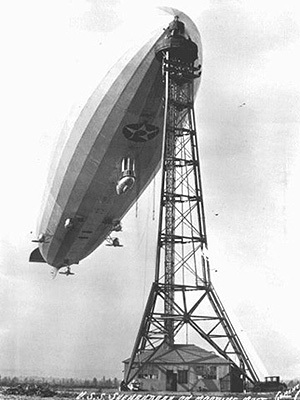 "Died With The USS Shenandoah"
The USS Shenandoah was a Naval Airship (blimp) that crashed in bad weather in Ohio on September 3, 1925 with a large number of casualties. More information about the Shenandoah will be added at a later date, as a number of those killed aboard her are buried in Arlington. 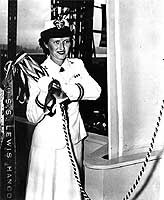 His wife, Joy Bright Little Hancock Ofstie (Captain, United States Navy), eventually married Vice Admiral Ralph Andrew Ofstie, United States Navy. 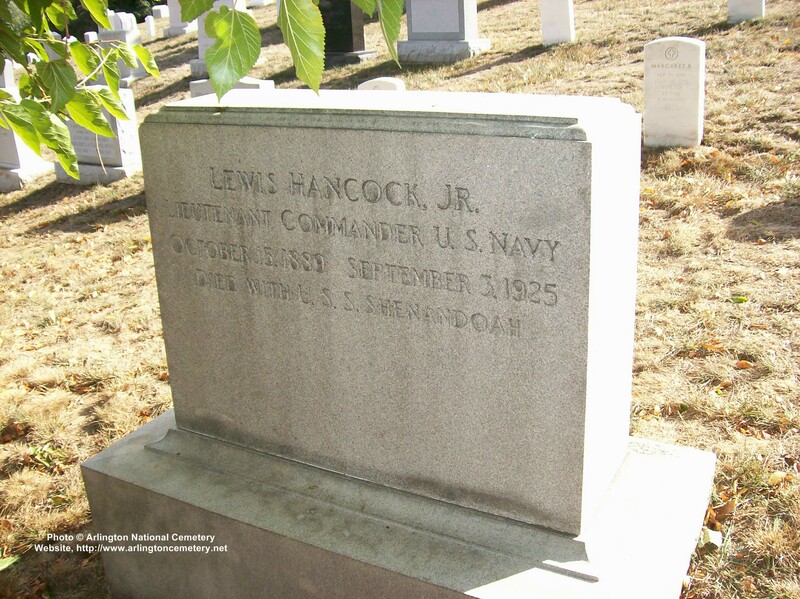 The Admiral and the Captain are buried together in Section 30 of Arlington National Cemetery.